Item 2013.6.36.1.002.020 - Former "Terminus Hotel" in Vancouver, B.C. Former "Terminus Hotel" in Vancouver, B.C. 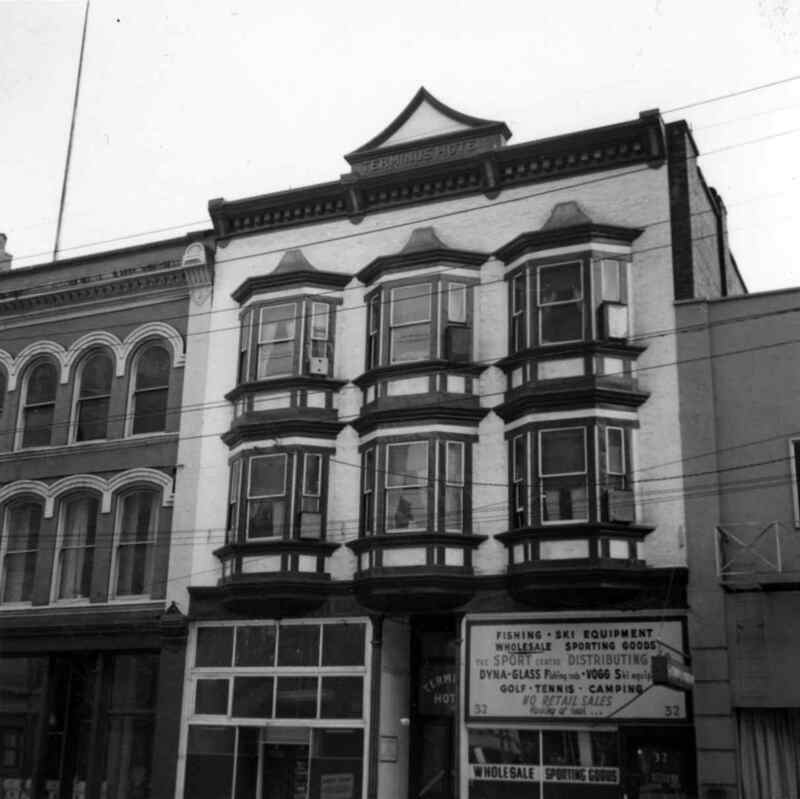 Photograph depicts the former "Terminus Hotel" on 32 Water St., 50 yards from the center of old Vancouver.